Mobile theft incidents are becoming very common. With mobile theft or missing, money is lost in our pictures, data and contacts as well. 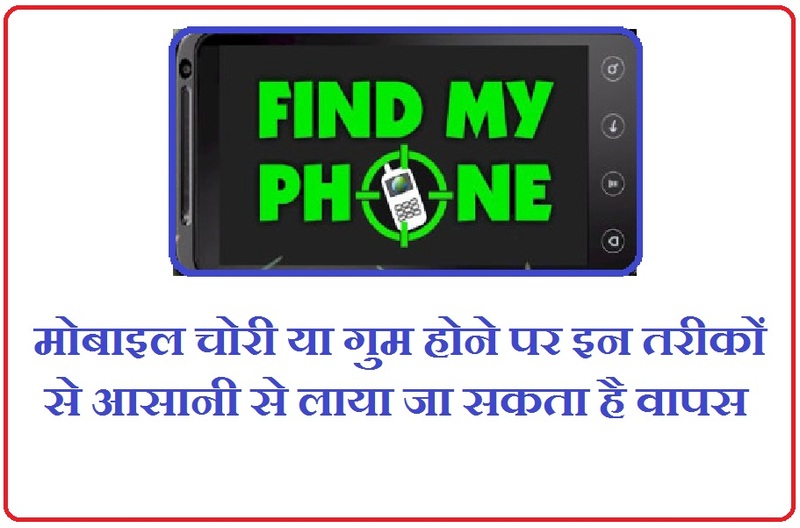 But if your mobile is lost or stolen, then there are some such tricks, so that your phone can be recovered again. Every smartphone or mobile. This is a unique number for every phone. You can find the IMEI number by dialing * # 06 # from your phone. With the help of this number the police can track your phone. This app proves helpful in finding stolen mobile. After the mobile has been stolen, through this app, you can find out the complete information of the person who stole it. There is also a special feature in it. In this feature you will be photographed clicking the photo. This will allow you to know the location of the mobile. This app also makes it easy to find lost or stolen mobile. Through this, if someone puts another SIM in your phone then you will know that too. This app will tell the location of the handset not only using GPS connectivity. At the same time, you will also SMS location. Activate in the phone after downloading this app. After this, if someone else tries to touch your mobile then there will be a fast alarm in the mobile. If you try to steal someone in a crowded area then you will know immediately. This app can be used to locate the location with the help of Google map. If someone switches your phone after the theft, then you will know the last location of the phone. This can make it easier for you to find your phone. 0 Response to "These Apps will Help you Recover Your Lost Device"